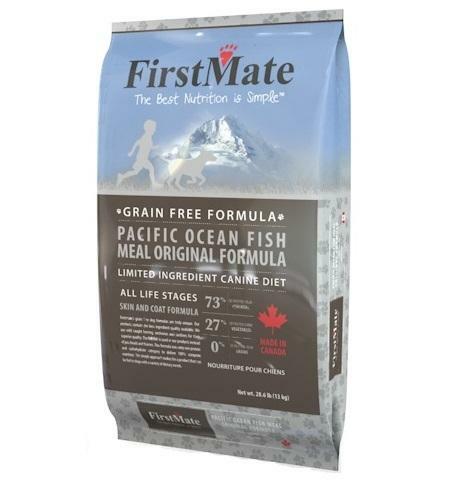 FirstMate's Pacific Ocean Fish Original uses a combination of wild caught herring, anchovies, and sardines. This limited ingredient diet is great for dogs with allergies and diet restrictions. Fewer ingredients makes this formula easy on digestion. 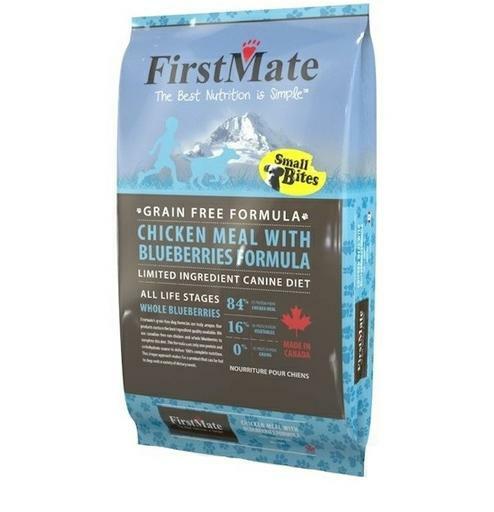 The chicken fat used in FirstMate Pet Foods is processed free of protein, eliminating the risk of allergies derived from chicken. 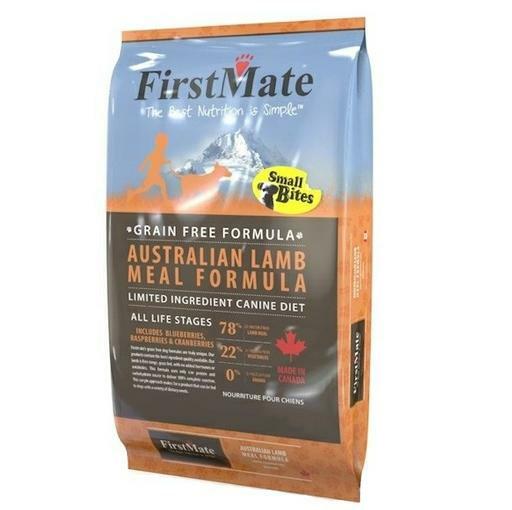 FirstMate's Australian Lamb uses grass fed, free range lamb without added hormones or antibiotics. This limited ingredient diet is great for dogs with allergies and diet restrictions. Fewer ingredients makes this formula easy on digestion. The small bite kibble is perfect for smaller mouths. 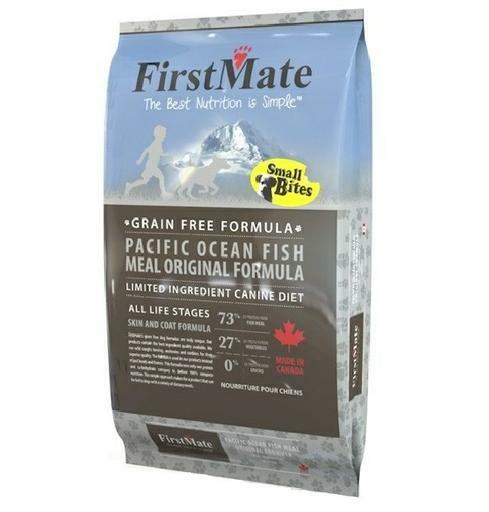 The chicken fat used in FirstMate Pet Foods is processed free of protein, eliminating the risk of allergies derived from chicken. 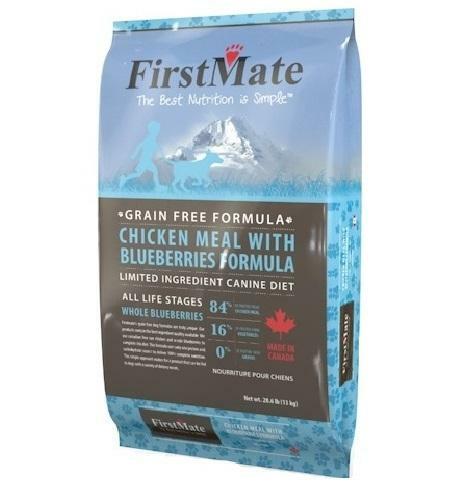 Our Chicken with Blueberries uses free run, cage-free chicken as a single meat protein with a high inclusion of blueberries for their antioxidant benefits. This formula is ideal for everyday feeding and sensitivities.